First in Sales. World Book Encyclopedia. Childcraft - The How & Why Library. 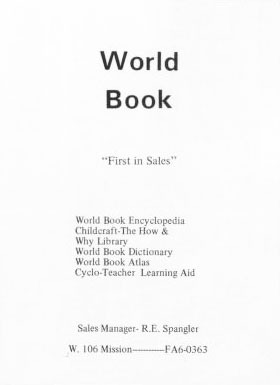 World Book Dictionary. World Book Atlas. Cyclo-Teacher Learning Aid. Sales Manager: R.E. Spangler. FA6-0363.